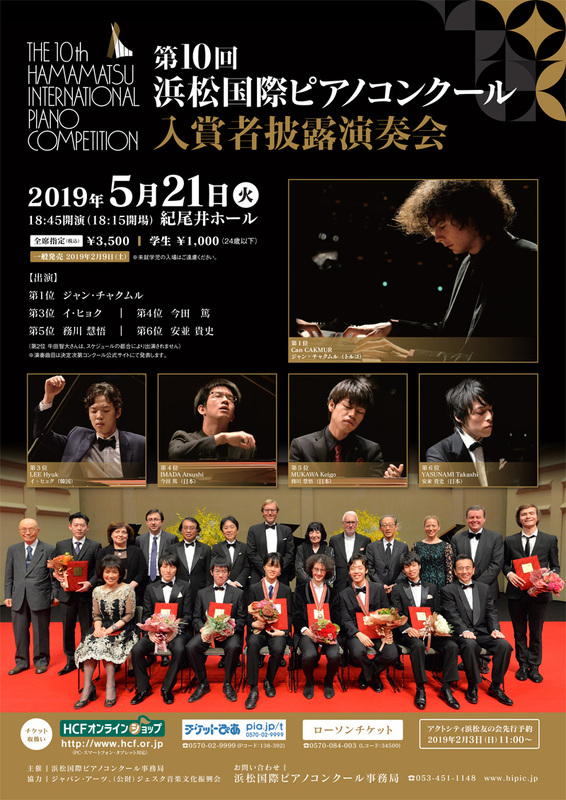 I won the 4th place at the 10th Hamamatsu International Piano Competition. I would like to express my gratitude to all of you for your warm support. 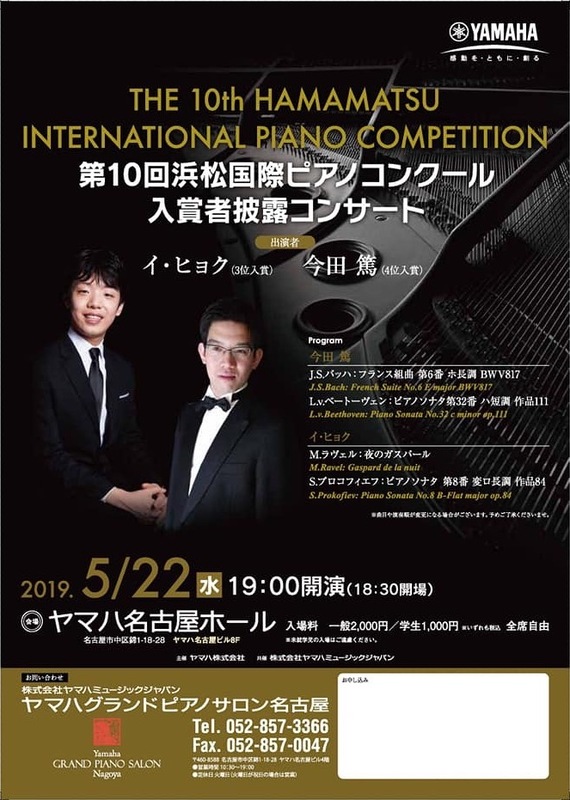 I will participate in "The 10th Hamamatsu International Piano Competition" to be held in November. 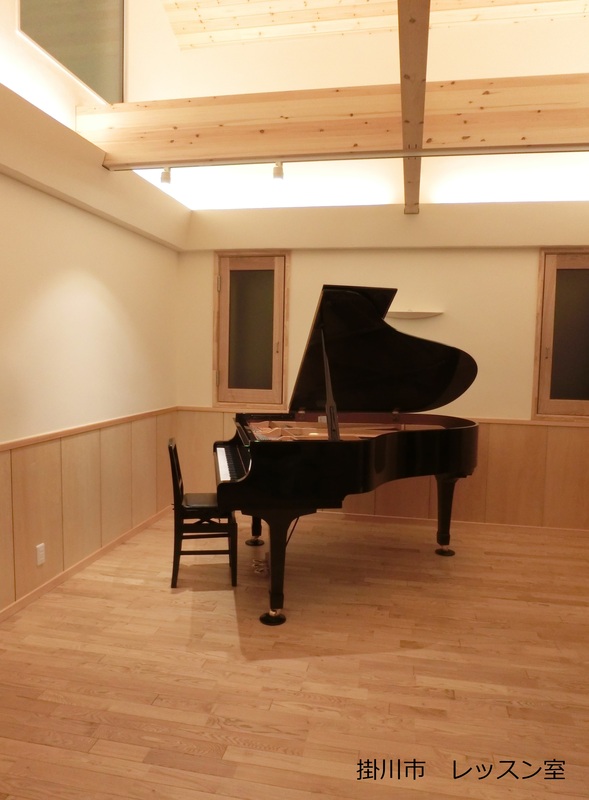 Born in 1990, Kakegawa city, Japan, he began playing the piano at the age of three. At the age of 16, he made his concerto debut with Kakegawa City Orchestra playing Mozart Piano Concerto No.23 in A major KV.488. 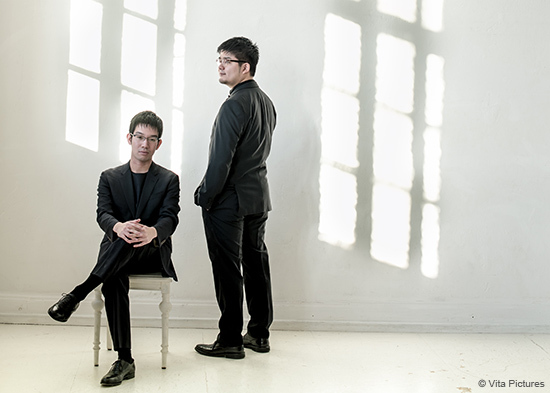 Since, he has appeared as a soloist with such orchestras as Nantional Orchestra of Belgium, Orchestre Royal de Chambre de Wallonie Orquestra Sinfonica de Ribeirao Preto, Orquestra Jovem do Estado, Kharkov Philharmonic Orchestra, Yomiuri Nippon Symphony Orchestra, Tokyo Philharmonic Orchestra, Tokyo Symphony Orchestra, Japan Philharmonic Orchestra, Hamamatsu Symphony Orchestra and Geidai Philharmonia and worked with such conductor as Marin Alsop, Paul Meyer, Chikara Iwamura, Masahiro Izaki, Claudio Curz, Rossen Gergov, Jorma Panula, Takeya Sakai, Daisuke Soga, Toshiaki Umeda,Yuri Yanko. 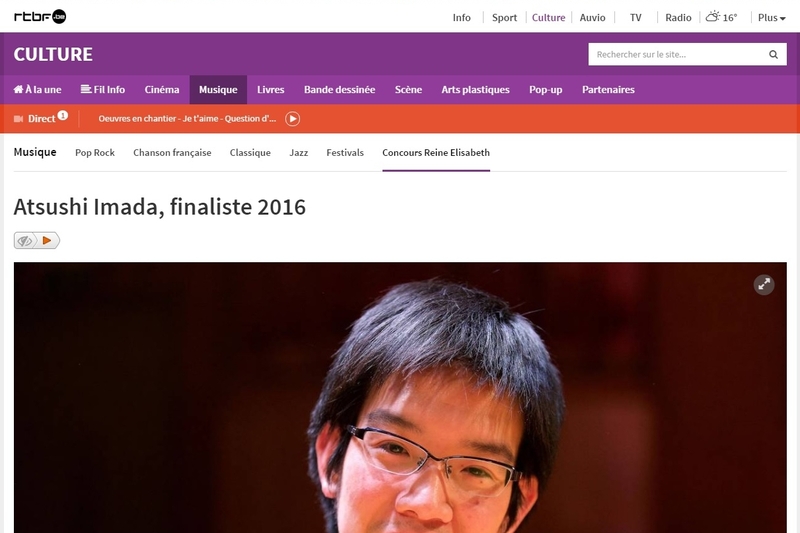 Atsushi was a laureate at the prestigious Queen Elisabeth Competition of Belgium in 2016. 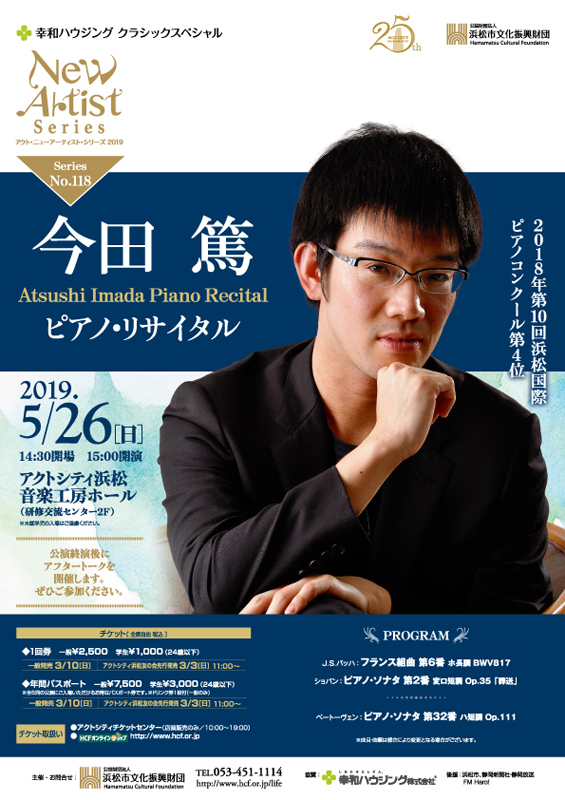 He has also won numerous competitions including 2nd prize at the 2008 V.Krainev International Piano Competition for Young Pianists in Ukraine, 2nd prize at the 2010 PTNA Piano Competition, 2nd prize at the Music Competition of Japan and 2nd prize at the 2013 Tokyo Music Competition. He won MCS Stipendium in 2015-2017. 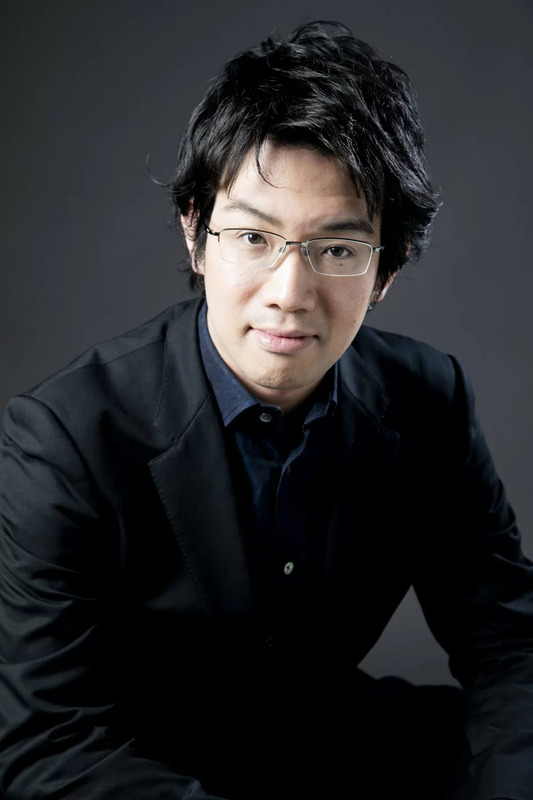 He has participated in international festivals including Piano Texas 2013 and PianoAcademy in Murrhardt in Germany. Atsushi Imada completed his bachelor degree at Tokyo University of Arts in 2013 where he has studied with Kei Itoh. He recently has graduated from Royal College of Music with distinction where he was studying with Dmitri Alexeev.He is also studiying with Roustem Saitkoulov in Paris. Teaching is available only in Japan at the moment. © 2019 Atsushi Imada All Rights Reserved.